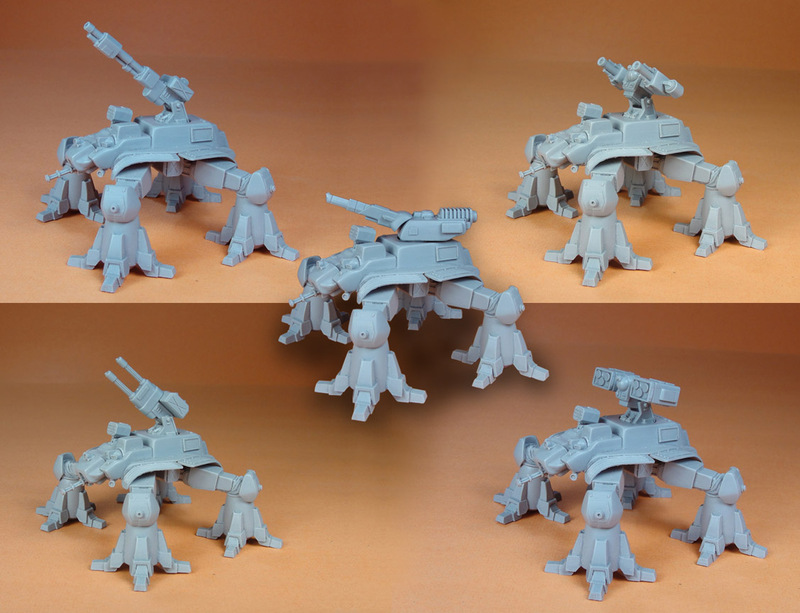 With the release of the Lion's Wrath - Northern Army List we have updated the Thunderhammer Strider miniature to include all the variant parts. It now includes parts to make the basic Thunderhammer Strider (HFG) or one of the following variants: Lightning (HRG), Storm (2x HGM), Flak (2x HAAC), Support (HATM), Bastion (HFG with Troop Transport for 2 squads), or Saviour (2x HAAC with Troop Transport for 2 squads) variants. 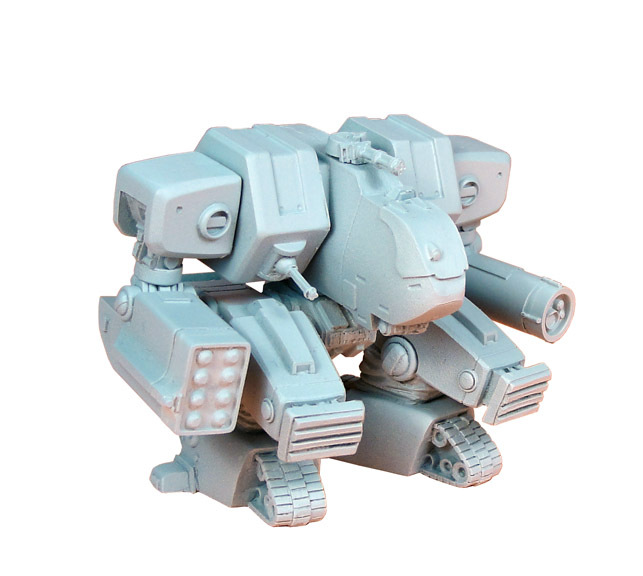 The miniature stands 60mm tall at 1/144 scale. The first photo shows the Thunderhammer and its 4 variants and second the Bastion and Savior variants from different angles with doors closed and open. Here is a link to its ordering page on the Dream Pod 9 Online Store. We'll also be adding the new weapons and troop transport parts to the custom parts section later today for those who want to upgrade their existing Thunderhammers. 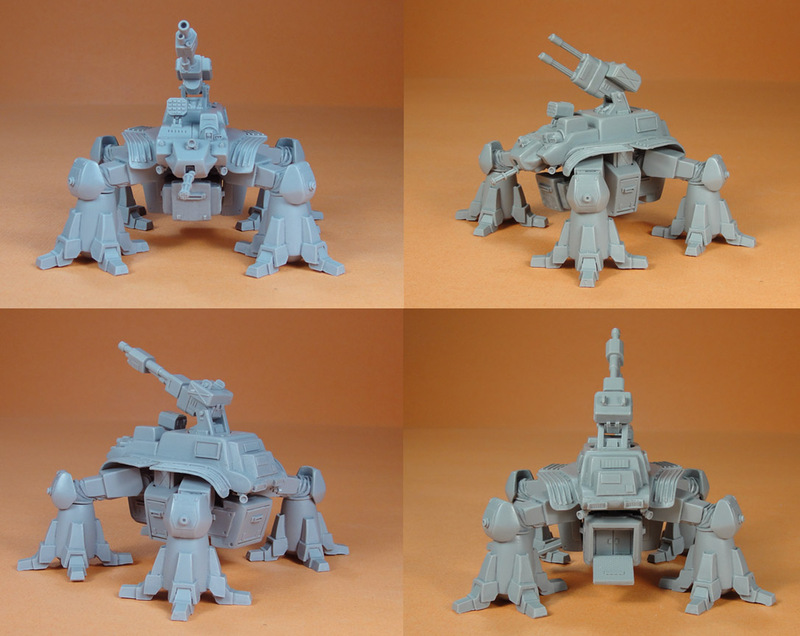 We have also updated the Mammoth Strider parts to include the new Secondary Movement System (SMS) feet shown in an earlier post and added the option to just purchase the feet in the custom parts section of the online store for those who want to upgrade their existing models.